March Madness is, as I understand, some sort of gambling racket involving a sporting activity that I need to feign interest in once a year. But Stanford University Press has reclaimed the ritual as a means to dole out their back catalog for super cheap. They’re selling tons of hardcover books for $10, and $5 for soft cover as part of their March Madness sale. 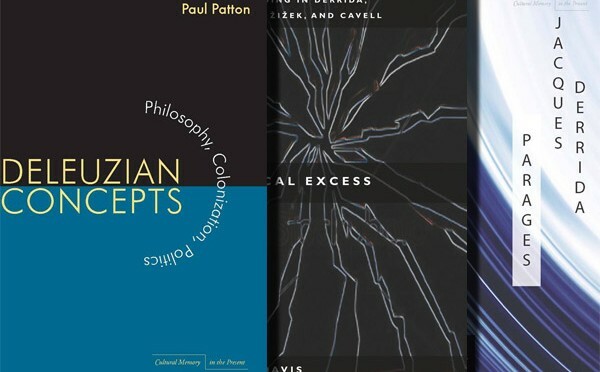 Because I have nothing better to do than create listicles all day, here are 11 of the more promising critical theory titles. Stanford University Press hardcovers usually run upwards of $60, so $10 isn’t so shabby. These essays provide important interpretations and analyze critical developments of the political philosophy of Gilles Deleuze. They situate his thought in the contemporary intellectual landscape by comparing him with contemporaries such as Derrida, Rorty, and Rawls and show how elements of his philosophy may be usefully applied to key contemporary issues including colonization and decolonization, the nature of liberal democracy, and the concepts and critical utopian aspirations of political philosophy. Patton discusses Deleuze’s notion of philosophy as the creation of concepts and shows how this may be helpful in understanding the nature of political concepts such as rights, justice, and democracy. 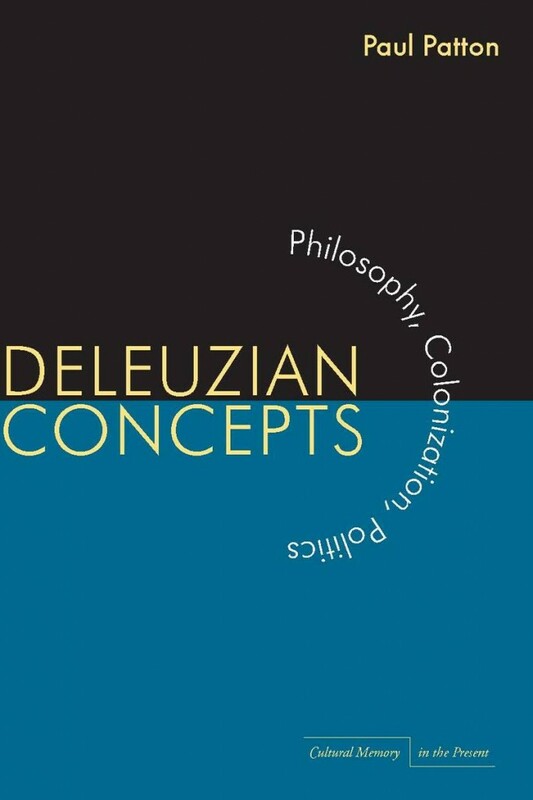 Rather than merely commenting on or explaining Deleuze’s thought, Patton offers a series of attempts to think with Deleuzian concepts in relation to other philosophers and other problems. His book represents a significant contribution to debates in contemporary political theory, continental philosophy, and Deleuzian studies. The hardcover is on sale for $10. Check it out here. This book disentangles two terms that were conflated in the initial Anglo-American appropriation of French theory: deconstruction and poststructuralism. Focusing on Sartre, Derrida, Foucault, and Baudrillard (but also considering Levinas, Blanchot, de Man, and others), it traces the turn from a deconstruction inflected by phenomenology to a poststructuralism formed by the rejection of models based on consciousness in favor of ones based on language and structure. The book provides a wide-ranging and complex genealogy of French theory from the 1940s onward, placing particular emphasis on the largely neglected early work of the theorists involved and on deconstruction’s continuing relevance. The author argues that deconstruction is a form of radical, antiscientific modernity: an interdisciplinary reconfiguration of philosophy as it confronted the positivism of the human sciences in the 1960s. By contrast, poststructuralism is a type of postmodern theory inflected by changes in technology and the mode of information. 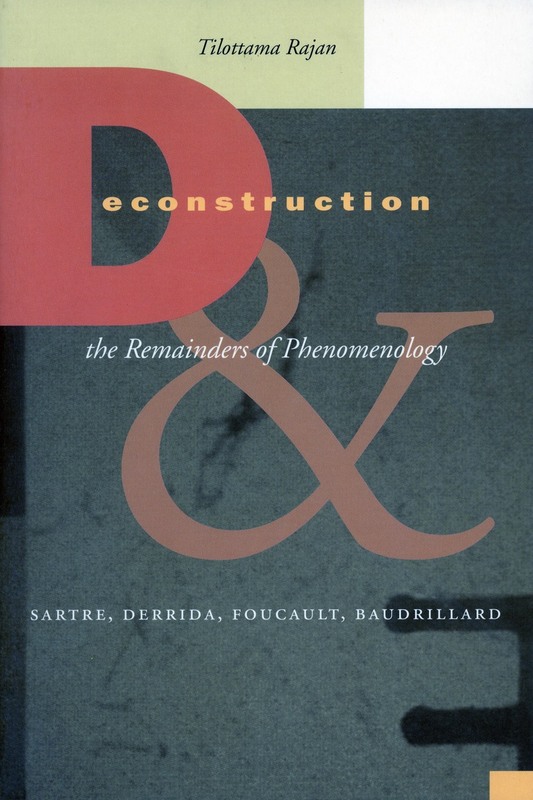 Inasmuch as poststructuralism is founded upon its “constitutive loss” of phenomenology (in Judith Butler’s phrase), the author is also concerned with the ways phenomenology (particularly Sartre’s forgotten but seminal Being and Nothingness) is remembered, repeated in different ways, and never quite worked through in its theoretical successors. Thus the book also exemplifies a way of reading intellectual history that is not only concerned with the transmission of concepts, but also with the processes of transference, mourning, and disavowal that inform the relationships between bodies of thought. H. C. for Life, That Is to Say . . . is Derrida’s literary critical recollection of his lifelong friendship with Hélène Cixous. The main figure that informs Derrida’s reading here is that of “taking sides.” While Hélène Cixous in her life and work takes the side of life, “for life,” Derrida admits always feeling drawn to the side of death. Rather than being an obvious choice, taking the side of life is an act of faith, by wagering one’s life on life. 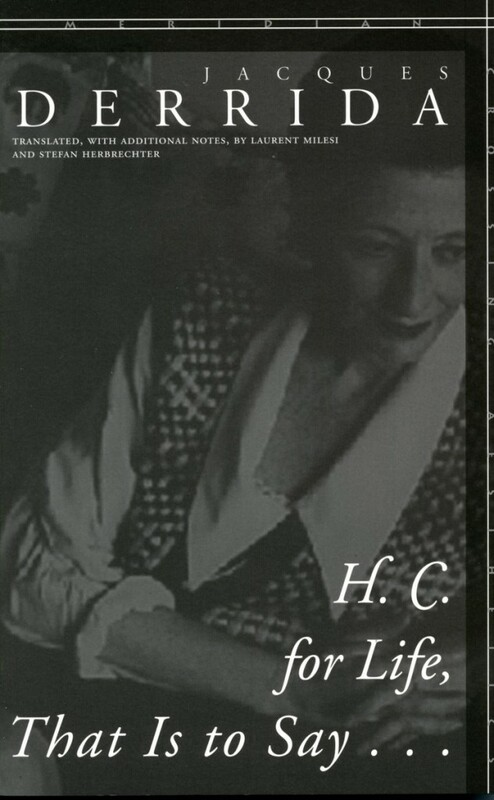 H. C. for Life sets up and explores this interminable “argument” between Derrida and Cixous as to what death has in store deep within life itself, before the end. In addition to being a memoir, it is also a theoretical confrontation—for example about the meaning of “might” and “omnipotence,” and a philosophical and philological analysis of the crypts within the vast oeuvre of Hélène Cixous. Finally, the book is Derrida’s tribute to the thought of the woman whom he regards as one of the great French poets, writers, and thinkers of our time. 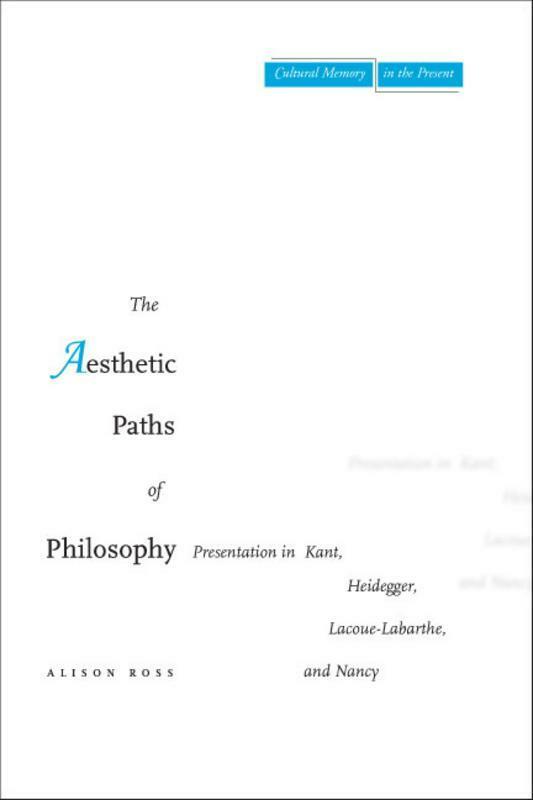 This book examines the ways that Heidegger, Lacoue-Labarthe, and Nancy adopt and reconfigure the Kantian understanding of “aesthetic presentation.” In Kant, “aesthetic presentation” is understood in a technical sense as a specific mode of experience within a typology of different spheres of experience. 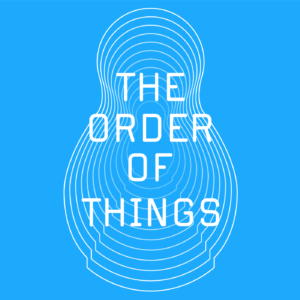 This study argues that Heidegger, Lacoue-Labarthe, and Nancy generalize the elements of this specific mode of experience so that the aesthetic attitude and the vocabulary used by Kant to describe it are brought to bear on things in general. The book goes beyond documenting the well-known influence of Kant’s Critique of Judgment, however, to open up a new way of approaching some of the central issues in post-Kantian thought—including why it is that art, the art work, and the aesthetic are still available as a vehicle of critique even, or especially, after Auschwitz. It shows that a genealogy of contemporary theory needs to look at the question of presentation, which has arguably been a question that has worried philosophy from its very beginning. The softcover is on sale for $5, and the hardcover for $10. Check it out here. 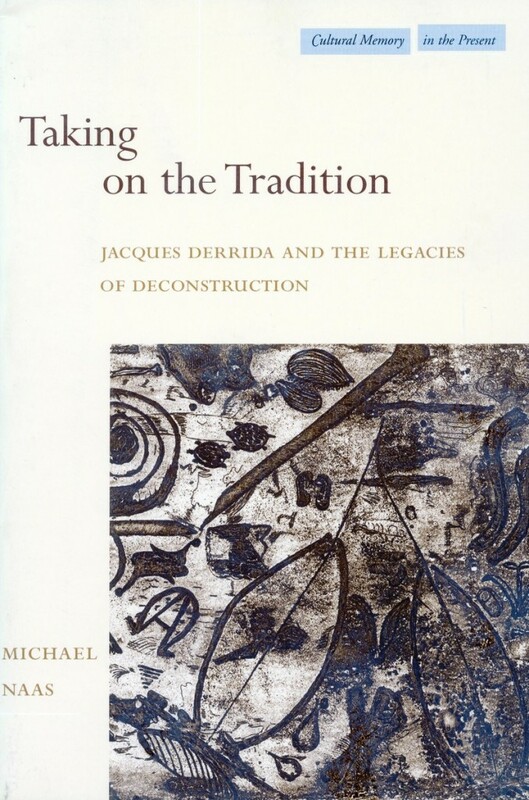 Taking on the Tradition focuses on how the work of Jacques Derrida has helped us rethink and rework the themes of tradition, legacy, and inheritance in the Western philosophical tradition. 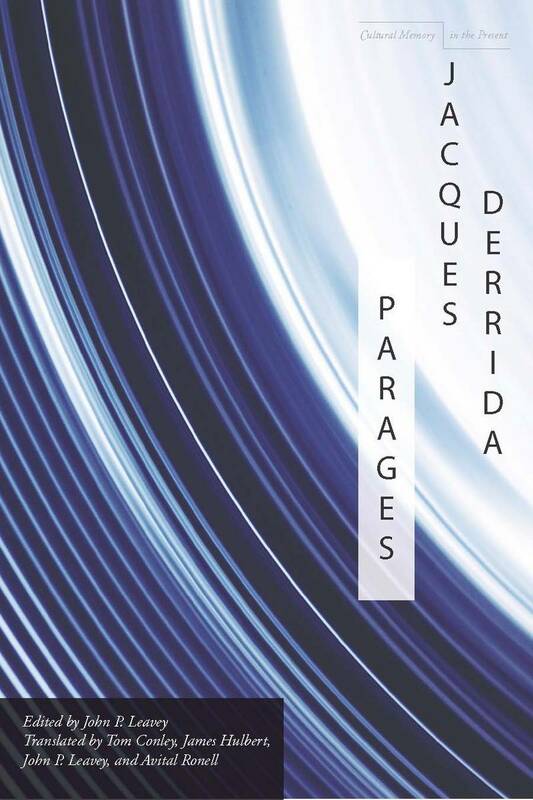 It concentrates not only on such themes in the work of Derrida but also on his own gestures with regard to these themes—that is, on the performativity of Derrida’s texts. The book thus uses Derrida’s understanding of speech act theory to reread his own work. The book consists in a series of close readings of Derrida’s texts to demonstrate that the claims he makes in his work cannot be fully understood without considering the way he makes those claims. The book considers Derrida’s relation to the Greek philosophical tradition and to his immediate predecessors in the French philosophical tradition, as well as his own legacy within the contemporary scene. Parages brings together four essays by Derrida on the fictions of Maurice Blanchot. Three of the essays—”Living On,” “Title To Be Specified,” and “The Law of Genre,” are by now canonical. The fourth, “Pace Not(s)” as well as Derrida’s 1986 introduction to the French edition of the book, appear here in English for the first time. This was a breakthrough publication in the analysis of Blanchot, a notoriously difficult writer. It is safe to say Derrida contributed much to that writer’s reputation in both French and English, always insisting on the philosophical pertinence of Blanchot’s work to any discussion of the relationship between literature and critical thought. Through patient citation, and an ample collocation and readings of Blanchot’s various motifs, Derrida explores a variety of questions, including the limits of genre, the procedure of crossing out, and the evocation of a non-dialectical and non-privative negativity. The book marks a crucial stage in Derrida’s itinerary and provides a context for his later writings on apophatics in such works as On the Name (SUP, 1995) and his response to Heidegger on death in Aporias (SUP, 1993). 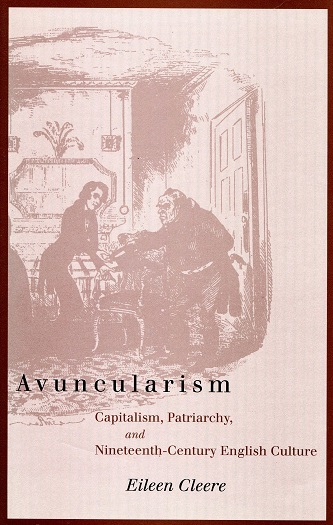 Avuncularism explores the fiction of Jane Austen, George Eliot, Charles Dickens, Anthony Trollope, and many other writers in order to argue that the “nuclear” nineteenth-century family was, in fact, far more fractured and contradictory than twentieth-century critics have assumed. One important and long-forgotten point of such fracture is the popular nickname given to pawnbrokers in the Victorian era: My Uncle. This fundamental connection between pawnbrokers and uncles provides the touchstone of the author’s larger argument: that representations of the “avunculate” (a term borrowed from anthropology) in nineteenth-century literature and culture mark a preoccupation with the increasingly theorized and embattled directives of a new political economy. The “ancient quarrel” between philosophy and literature seems to have been resolved once and for all with the recognition that philosophy and the arts may be allies instead of enemies. 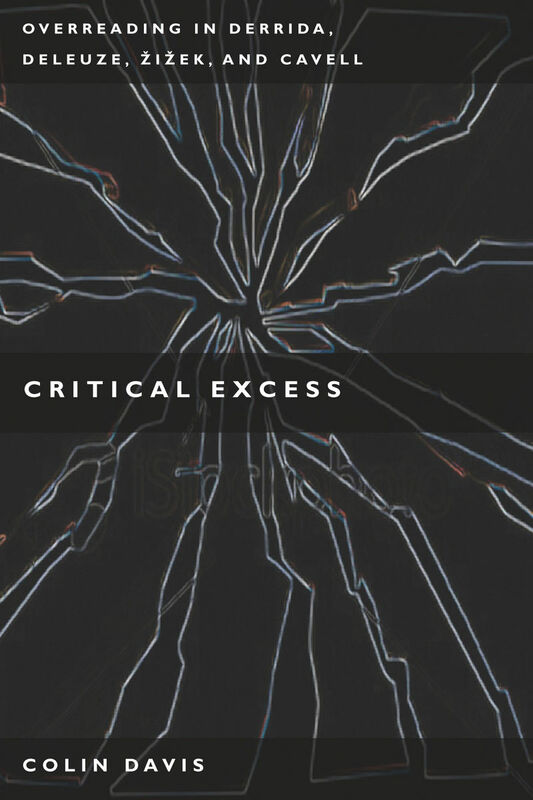 Critical Excess examines in detail the work of five thinkers who have had a huge, ongoing impact on the study of literature and film: Jacques Derrida, Gilles Deleuze, Emmanuel Levinas, Slavoj Žižek, and Stanley Cavell. Their approaches are very different from one another, but they each make unexpected interpretive leaps that render their readings exhilarating and unnerving. Counterfeit Capital is a comparative and interdisciplinary study exploring the unexpected yet essential relationship between irony and capital in the texts of Baudelaire and Marx. It argues for the renewed relevance of their work to contemporary thinking about the place of aesthetic and cultural experience in social and political life and articulates their poetic and philosophical innovations with their political statements in new and powerful ways. Through readings of Baudelaire’s poetry and prose and Marx’s Capital, this book illuminates their ongoing contribution to our understanding of themes and topics at the forefront of contemporary theoretical debate, including the effects of new technologies on the means of human action and transformation and the prospects for community and memory under capitalism. 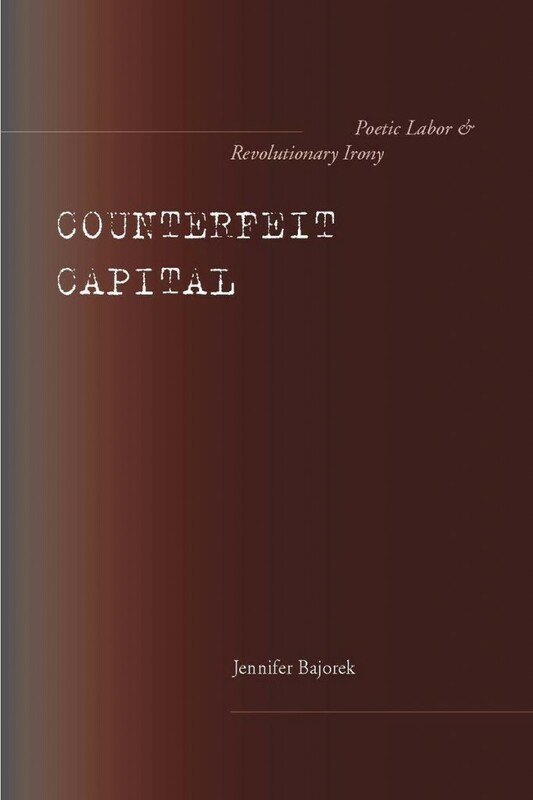 This book also revisits Walter Benjamin’s interpretations of the philosopher and the poet. Rereading Baudelaire and Marx together with the unplumbed lessons of Benjamin’s interpretations, it contributes to a growing body of interdisciplinary scholarship on the political dimensions and effects of language and to the current rethinking, in Marxist and post-Marxist theory, of conceptions of political time and agency. 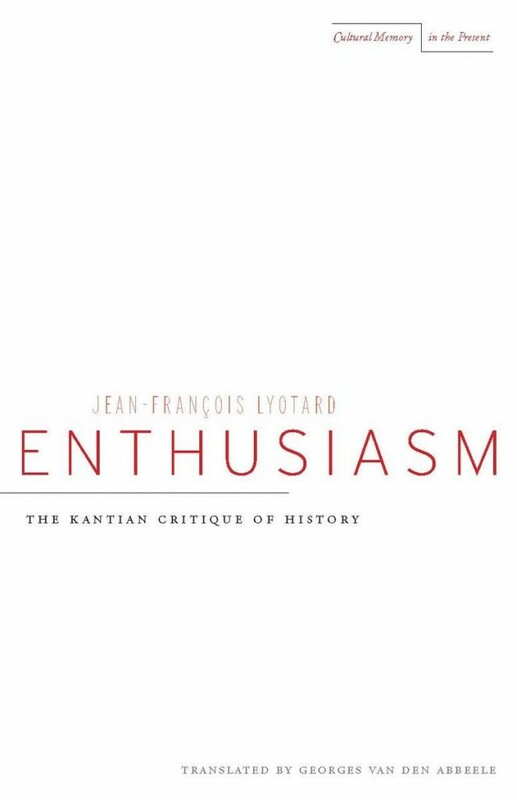 Enthusiasm studies what Kant calls a “strong” sense of the sublime, not as an aesthetic feeling but as a form of political judgment rendered not by the active participants in historical events but those who witness them from afar. Lyotard’s analysis, preparatory to his work in The Differend and subsequent publications, is a radical rereading of the Kantian “faculties,” traditionally understood as functions of the mind, in terms of a philosophy of phrases derived from Lyotard’s prior encounters with Wittgenstein’s theory of language games. The result is a kind of “fourth” critique based in Kant’s later political and historical writings, with an emphasis on understanding the place of those sudden and unscripted events that have the power to reshape the political/historical landscape (such as the French Revolution, May 1968, and others). 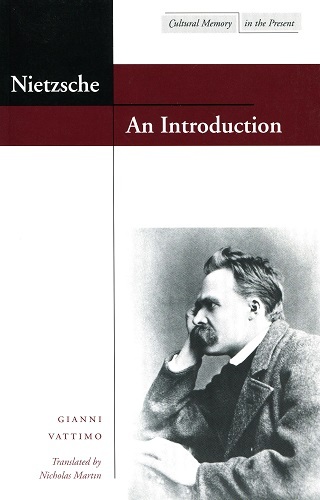 This book is both a concise and lucid introduction to Nietzsche and an original contribution to critical debates concerning Nietzsche interpretation and reception. This overview takes issue with the prevailing tendency to focus on Nietzsche’s later work, which reaches its extreme with Heidegger’s almost exclusive focus on the group of late notes posthumously collected as The Will to Power. Vattimo aims to mediate between two prominent hermeneutic readings of Nietzsche: Wilhelm Dilthey’s view that Nietzsche’s work fits into the nineteenth-century tradition of the philosophy of life and Heidegger’s belief that Nietzsche is best understood as the author of a pair of ontological doctrines, the will to power and the eternal return of the same.